The trade association that represents these CEOs, the National Restaurant Association, has vehemently opposed any increase in the minimum wage. The figure below raises the question: Who in the restaurant industry needs and deserves a raise? 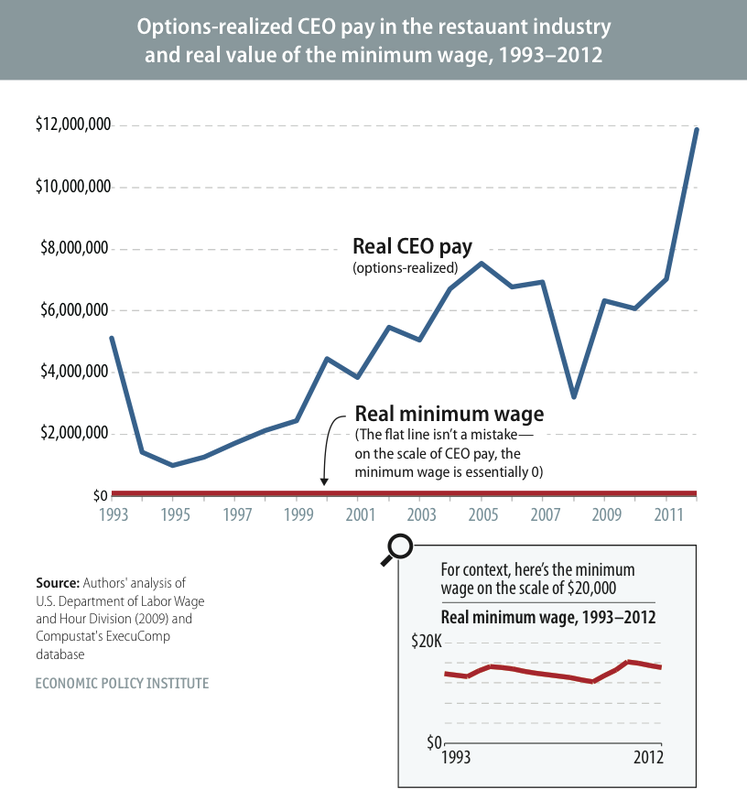 Relatedly, this recent EPI analysis examines overall CEO compensation relative to average worker pay in the United States.